ActionAid and Dalit Adhikar Abhiyan (DAA) are working to raise awareness amongst poor Dalit families who are struggling to get their rights in various districts in Madhya Pradesh. Because of the practice of untouchability, Dalits are considered inferior and they cannot touch the food or water of the dominant caste people. This was apparent even in government ain such as one in Kukarvad village which have children from different backgrounds. 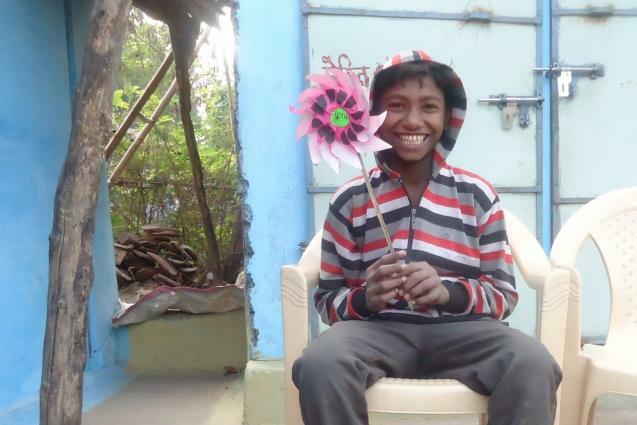 14 year old Rohit Dhoke’s parents work as labourers. His two siblings also study in the same school. “The big problem in my school was the untouchability practices during the mid day meal. The women preparing the meal used to shout at us tell us not to enter the kitchen or come near the food. They called us “low caste”. Says Rohit. Following the advice from DAA, the children together lodged a complaint in to the school principal who reprimanded in the concerned women altering their behaviour. Children in 41 schools in the project area are now raising their voice against discrimination and DAA workers are regularly monitoring the situation.